The holiday season is officially in full swing, and unless you live in a hole, you are very aware of how quickly December 25 is approaching. Holiday advertisements invade every aspect of our lives, from print ads, commercials, and even side-bar advertisements on Facebook. It can be a joyous time of year, but it can also be a stressful one. The credit card bills are piling up, and the stack of presents under the tree serve as a daily reminder to pay them. Between your generous giving spirit and budget, things aren’t adding up as you had hoped. While December is a great time to get into the spirit of giving, it is also a great time to cash in on some of your most valuable assets. If you woke up this morning with the thought, “I want to sell my car today,” but dismissed it as an over-complicated process, we can help. In today’s consumer marketplace, there are countless ways to sell your vehicle. In an effort to stifle some of that confusion, we have broken down the car selling process in two simple categories: Selling to a dealership, and selling online. A simple Google search will reveal that your initial car-selling confusion was justified. Hundreds of pages of links serve only to confuse the process further, so we ask you to very slowly, back away from your computer. Okay, now that that’s settled, let’s dive into the complicated world of selling your vehicle online. There are a lot of different outlets on the world wide web that promise consumer confidence, the best price for your used car, and more. Some of these sound too good to be true, and that is probably because they are. Some third party websites exist to gather information, and sell it to other companies that will benefit from your business. While they are reputable to a point, their user agreement will no doubt reveal their moral compass needs repositioning. The second way you can sell your car online, is to use an online marketplace, such as Craigslist or Ebay. Essentially, this is the same basic process of sticking a “For Sale” sign on your front dash and parking your car in the Walmart parking lot for a week, but on steroids. With the use of these websites to sell your car, you are sure to get a lot more people who can view your vehicle if they are interested in purchasing it, but you will also leave yourself vulnerable to scam artists. Don’t get us wrong, a lot of people have successfully bought and sold their vehicles on these websites without a problem. The dreaded scammers you hear about in the news are certainly the exception, and not the rule. However, there are enough victims out there that it is important to at least heed their warning, and learn from their experience. The differences between selling your vehicle online, and selling to a dealership, are night and day. When you walk into a dealership with the intent to sell, or trade in your vehicle, you are afforded the promise of a secure transaction. The dealership you are selling your car to is an actual registered business. Unless they are operating out of a tent on the side of the road, you will know for certain that they will be there if issues arise in the future. If you are looking to sell your vehicle for cash, be sure to check with the individual dealership on their policy for buying used cars. While McCluskey Automotive will purchase your used car for cash, other dealerships will only make a deal if you plan to purchase a new vehicle from their lot. Online or Dealership? Which One is Best? If you woke up this morning with the intent to sell your car today, then a dealership may be the right choice for your situation. 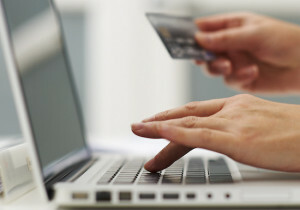 The process of selling a car online can be a long one, with no guarantee of a sale in the immediate future. The likelihood of someone purchasing your vehicle the same day you post it for sale online, is nearly nonexistent. Before you know it, Christmas is over, and the presents are no longer under your tree – but that credit card bill is still waiting in your mailbox. If you are selling your car for immediate cash, finding a reputable dealership that will buy your car the same day, like McCluskey Automotive, is imperative. Many consumers note that when they sell to a private individual, rather than to a dealership, they are given more money for their vehicle. Online websites like Kelley Blue Book confirm this fact, by offering an online estimate of your vehicle. By choosing the option to sell privately (online), you will notice that your vehicle has a higher estimate than if you choose the option to sell to a dealership. The cut in your vehicle’s estimate comes from the convenience and confidence you receive when you sell to a dealership. Rather than waiting months for someone to buy your car online, when you sell to a dealer you are paid in cash the same day, and the dealership gets to play the waiting game instead. 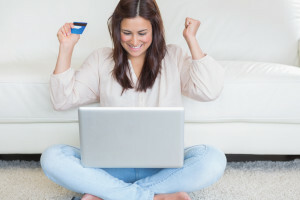 If you want the most amount of money for your car, then selling to a private individual online might make the most sense for you. But remember, you will be waiting an indefinite amount of time, and may not actually get what you want for the vehicle when all is said and done. One of the best benefits of selling your car to a dealership, is that YOU are in charge. Rather than waiting for a person to “like” your car enough to buy it, you are able to explore different dealerships until you find one that you are comfortable selling your car to. The dealership is then tasked with finding a buyer, while you leave the lot with cash in hand. 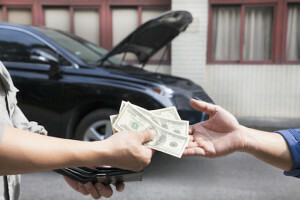 At McCluskey Automotive, we offer cash money for your car, the same day you bring it in to us. We utilize an online vehicle estimation tool, that is backed by Autotrader. Once you get your online quote, simply bring it into our dealership, and if your vehicle is as you described it, we will give you cash on the spot. If you are looking to trade-in your vehicle with McCluskey, your online quote can also be used in that situation. We think that the convenience of selling your car to McCluskey far outweighs the small amount of money you might get by selling your vehicle online. 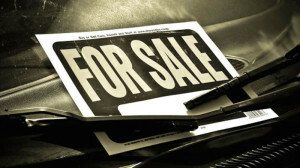 If you are still set on selling your car privately, then be sure to research the website you choose to list it with. Take precautions when meeting with potential buyers, and never wire anyone money – under any circumstance. To us, it is clear that the benefits of selling to a reputable dealership far outweigh those of selling your vehicle online. McCluskey’s easy to use online tool gives sellers confidence, and peace of mind when they make the decision to sell their vehicle. With the promise of cash in hand today, why would you want to go through the hassle of selling anywhere else?